I know it's not time for another Trailer Tuesday yet, but I just couldn't let you all go through the long holiday weekend without seeing this. Tinker, Tailor, Soldier, Spy, based off of John Le Carre's novel, is a Cold War-era spy thriller about the investigation of a mole planted by Russia into the high ranks of British Intelligence. And the cast is to die for: Gary Oldman, Colin Firth and Tom Hardy just to name a few. If the movie can keep the level of suspense that is dripping from every frame of the trailer, then this will be a definite must-see film. 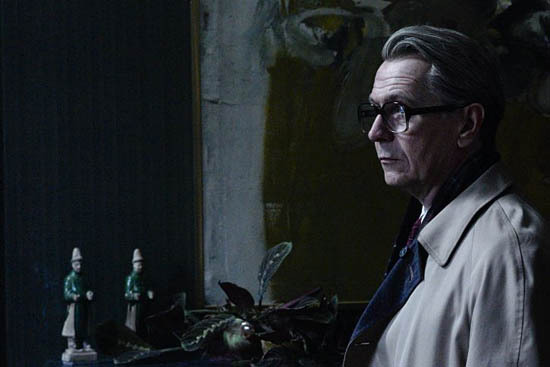 And with the likes of Oldman and Firth involved, I have a feeling we'll be hearing a lot more of Tinker, Tailor, Soldier, Spy once the Oscars come around. Tinker, Tailor, Soldier, Spy hits theaters September 16, 2011.